Paizo and Mesa Mundi are teaming up to bring officially licensed Pathfinder Roleplaying Game campaign materials to D20PRO. We have great news for all of you Pathfinder Roleplaying Game players out there. Officially licensed Pathfinder content will be available on D20PRO! That means a TON of material is coming your way, including the Pathfinder core rulebook, all the Bestiaries, Player Companions, adventures and more. Pathfinder Content Ready-to-play on D20PRO – The incoming Pathfinder content will be ready-to-play in D20PRO – no manual data entry, configuration or image hunting required. Sourcebooks and adventures will include formatted creatures and maps (with fog of war and shadow casting) and be ready to use right away in your campaign. Enhanced Pathfinder Support – We want D20PRO to be the best VTT for your Pathfinder campaigns. So, the new content will coincide with several new features and enhancements to improve the way D20PRO handles character sheets, traits, creature abilities, and spells for Pathfinder. Core Pathfinder Content – We’ll kick things off with the essential books. That means the Pathfinder core rulebook, all the Bestiaries, and Player Companions will be first out of the gate in early 2017. Pathfinder Adventure Path Materials – A big benefit of official licensing will be Adventure Path materials formatted for D20PRO. You can expect to get your hands on D20PRO-compatible versions of future Adventure Path material right when Paizo releases it. 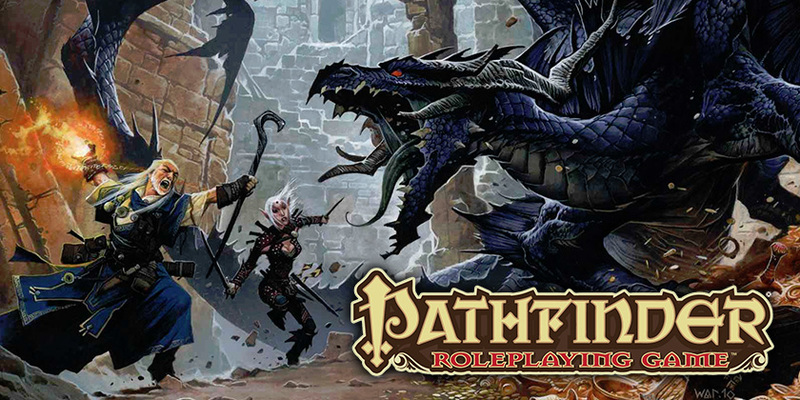 Official Pathfinder Art – Our collaboration with Paizo means we will be able to tap their massive art library. All the Pathfinder content for D20PRO will therefore include official artwork for NPCs and monsters. You can read the official press release from Paizo here. Official Pathfinder support is something you have requested for a long while – and we are thrilled to have partnered with Paizo to make it happen. We can’t wait to show off the upgraded power of D20PRO running officially licensed Pathfinder content. It’s going to be pretty awesome – and hopefully makes up for the wait. Join our mailing list in the footer below to get the latest updates on release dates and new features. D20PRO automates the complex elements of RPG gameplay – while preserving full GM control – so groups can focus on the roleplaying experience. Download our free 30-day trial to see how D20PRO can level up your next campaign.